Keep your family safe and secure. Total Connect lets you interact with your security system from anywhere using an Internet enabled computer, smartphone or tablet. Access control systems are about more than monitoring doors; they are an integral part of any security system. Because Guardian is good enough to protect them. Home security solutions designed to protect you and your loved ones. The ultimate all-in-one lone worker solution. Providing worker safety with professional monitoring. Outdoor, indoor, and thermographic cameras along with home automation, accessories, and more. Network and analog cameras, backend servers, accessories, PTZ and VMS. In an ideal world, we wouldn’t need security systems. But in the day and age we live in, natural disasters and crime can occur at any time, endangering the ones we love. Fortunately, technology has reached the point where we can check on the safety of our home or business at any time on any day, no matter how far away we go. 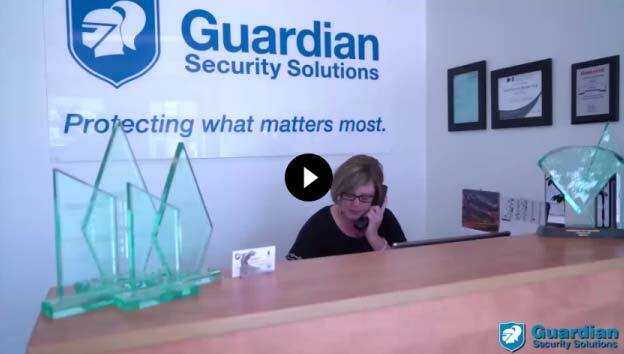 At Guardian Security Solutions, we offer only the best security systems Calgary and Lethbridge residents have come to depend upon for their peace of mind. Our security experts would be more than happy to answer any questions you may have about security and/or help you choose the best solution for your specific needs. Our experienced employees can help you choose the right security solution. Then we can install your new system at whatever time works best for you. We also provide repair and maintenance services if needed. Guardian Security Solutions was founded in 2005 and now serves about 10,000 customers in your area. We’re dedicated to finding the best security systems in Calgary and Lethbridge. Contact us today to request an estimate on our many security options suitable for your home or business.